Humans are rightly terrified by the threat of nuclear war, but there’s also a non-zero chance that a giant rock will come hurling through our atmosphere to ruin every Earthling’s day. When that happened 66 million years ago, it triggered a mass extinction that wiped out the dinosaurs. 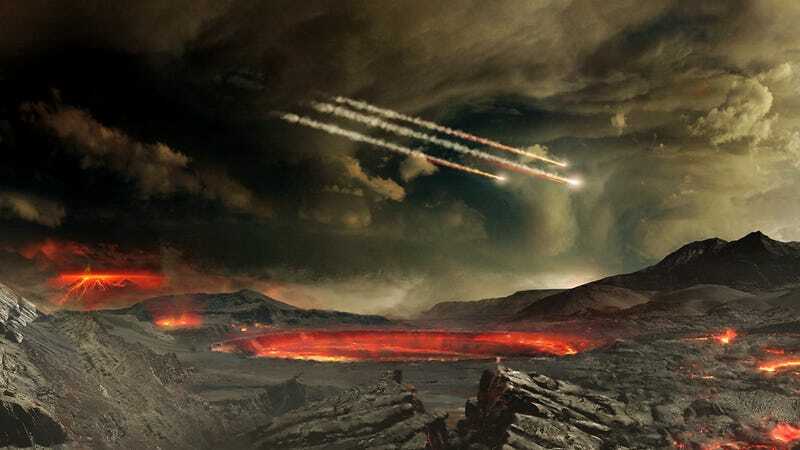 But we have something the dinosaurs didn’t: Scientists, who are working hard to account for all of the dangerous asteroids in our solar neighborhood, and to develop technologies that can move them off a deadly collision course. Carrie Nugent is one of those scientists; a self-styled asteroid hunter whose new TED book offers a brief and entertaining overview of what we know about mysterious bodies that whiz between planets, and introduces the global community of scientists with a passion for tracking them. Gizmodo caught up with Nugent to chat about asteroids, what it’s really like to have a day job that, for most of us, calls to mind Bruce Willis in a spacesuit drilling to Aerosmith hits, and what we need to do to preempt a major impact. In Nugent’s view, step one toward stopping the asteroid apocalypse is surprisingly simple: We need to find a lot more asteroids. Below is a condensed and lightly edited version of the interview. Gizmodo: In your view, what’s the biggest public misconception about asteroids? Nugent: I think the public perception about asteroids is that they’re kind of metaphors for acts of God, the fact that we have no control over the universe. They’re always seen as these uncontrollable events. But when you look at the science, they’re actually the exact opposite. They’re a preventable natural disaster, which is just wild. I think that’s the biggest misconception out there. If we were to do a very thorough survey of the sky, we’d know what was out there [in terms of asteroid threats]. It’s a solvable problem. 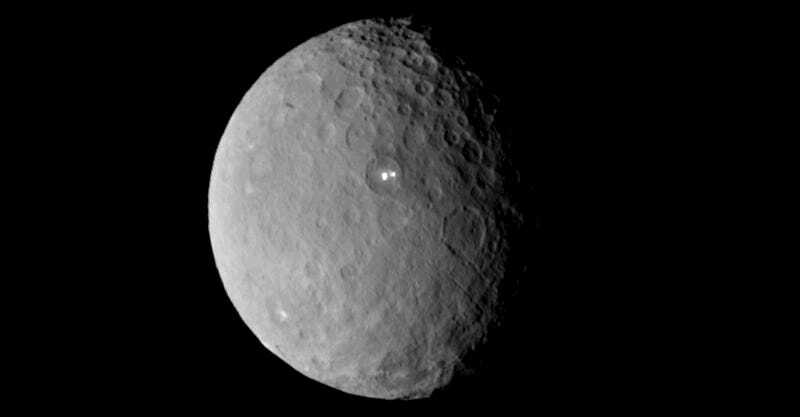 Gizmodo: One the themes you touch on in your book is how the recent discoveries at Ceres by the Dawn spacecraft have started to blur the line between asteroids and planets. [Editor’s note: Dawn is a NASA-funded spacecraft currently orbiting and studying Ceres, the largest object in the main belt of asteroids between Mars and Jupiter.] How are missions like Dawn changing our understanding of asteroids? Nugent: I think Dawn has done an amazing job showing that asteroids aren’t just hunks of rock. They’re worlds—they’re places an astronaut can explore. I think the Rosetta mission also did an amazing job of that. Those images were jaw dropping. [Editor’s note: Rosetta was a European Space Agency-led spacecraft to Comet 67P-Churyumov–Gerasimenko. The mission ended in September 2016.] It’s crazy to think there are millions of asteroids out there, and they’re all worlds. It’s true that the more we learn about these objects, the more the line between asteroid and comet starts to fuzz out. People have discovered asteroids in the Main Belt that outgas like comets, and things on cometary orbits that no longer outgas—that don’t have tails. We’re finding all of these unique cases. I think every time we send a spacecraft to an asteroid or comet, we learn more. Gizmodo: How did you first become interested in asteroids? When did you know you wanted to be an asteroid hunter? Nugent: It’s an usual career. It wasn’t like I was a small child dreaming of this, though I always liked geology and learning about the world. I did my undergrad in physics, and got PhD in geophysics and space physics. I really love [asteroid hunting] because it’s practical, but it’s also pure physics and astronomy. It’s utterly mind blowing to me how precisely we can predict exactly where asteroids are going. Their orbits are governed only by gravity, and to a lesser extent sunlight. The forces are very well studied. Gizmodo: You’re part of the team that hunts for asteroids through the NEOWISE survey. [Editor’s note: NEOWISE is a space-based telescope tracking the heat signatures of near Earth asteroids.] I gather this means scouring troves of images, rather than spending long nights at an observatory. Is asteroid hunting less glamorous than people imagine it to be? Nugent: I think it’s certainly less glamorous. I work in an office building, at my laptop all day. That said, it’s very fun. One thing I like is it’s very much a team sport—I’m playing a small role in a much larger group. Gizmodo: I was surprised to learn that based on NEOWISE survey results, we’ve only found about 30 percent of all the near Earth asteroids greater than 100 meters across. That implies a huge number of large, close-by asteroids we haven’t found! How soon can we expect to find them all? Nugent: It’s a great question, and depends on what decisions people choose to make in the future with funding. All I can really say is that it’s important to find these things, and I think we need to make the investments. At the end of the book, I talk about how people think that since we have sent astronauts to the Moon, the region of space between the Earth and Moon is totally explored. But it’s not. Because the Earth, Moon, and asteroids are constantly moving as they go around the sun, that region of space isn’t static. We still sometimes discover new asteroids that pass between the Earth and the Moon. Gizmodo: You talk about the role science fiction, particularly Deep Impact and Armageddon, played in bringing the threat of an asteroid impact onto the public radar in the ‘90s. Do you think science fiction plays an important role, today, in keeping the public engaged in this kind of science? Nugent: Absolutely. I think that science fiction is incredibly powerful, a great way to get people excited about space. One example that immediately comes to mind is The Expanse. What I love about it is they’re showing people interacting with solar system in a brand new way. And now, because of it, people are familiar with asteroids and tiny moons that they weren’t before. The power of Armageddon and Deep Impact is also really incredible. I can be anywhere—in a coffeeshop, say—and if it happens to come up what I do, people alway bring [those movies] up. And it sounds annoying but it’s not, it’s awesome! I do this really niche thing, but people know about it because of Bruce Willis. Gizmodo: In the book you discuss all these crazy methods we might use to deflect asteroids, like tractor beams, nuclear missiles, and small projectiles. But we’re still a ways away from any of those methods really being viable. What are the most important things we need to be doing, right now, to make ourselves better prepared for a big impact? Nugent: I’m immensely biased. So I think the most exciting thing is finding the asteroids. Partially because I think it’s a priority right now, that would give us the warning time we need to react appropriately. I think it’s so exciting to find them, explore space in that way, and from my laptop. But to be honest, I would love to put myself out of a job here because we’ve found them all. Gizmodo: Say the apocalypse asteroid is on its way to Earth. In your mind, what would the ideal planetary defense network look like? Nugent: I’m not a particular expert in asteroid deflection. But as I write in the book, asteroids are all very different, it think it’s good to have a lot of different options. I’m also kind of grateful that I’d not be the one doing the picking.